The origin-of-mothers-day associates with Spring, childbirth and the Gods. Family has always played a huge part in the history of Mothers day, with Moms as the central focus and core. Haven’t we all turned to our Mothers for help, guidance, and nurturing at some point in our lives? Moms are usually the glue that holds families together. This special occasion is centuries old actually. Moms have been honored in some fashion globally for as long as we can recall. This day is related through religion from the Middle Ages and from the beginning of time. Eve in the Bible has been referred to there as “Mother of all the living" and Ancient Festivals are still observed in various countries everywhere. It’s also thought to have started with Cybele. She was known to the ancient Greek civilizations as the "Mother of the Gods." You may have heard to also referred to as "Rhea." During Spring-time, her existence was celebrated. The Matronalia Festival, celebrated by the Romans celebrated childbirth. In these celebrations, Juno the Goddess of Childbirth was honored. The husbands and children of families would praise their Mothers with a variety of presents. In the UK, it was very important to be able to spend time with families during what was called "Mothering Sunday" which was a day to pay tribute to the Church and the Virgin Mary. This traditional Sunday was of such great importance that even the servants were given a day off to go to their Church too. This tradition is part of the Christian calendar. 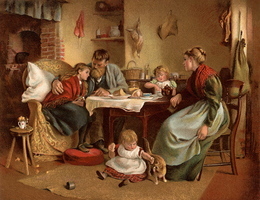 Spending family time was the norm, and the practice of giving gifts came at a later date. 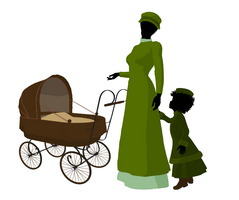 The origin-of-mothers-day relates back to Post Civil War in the US, which established Mother’s Day as a day to be "peaceful" and to celebrate the importance of the role women played in their families. The War was a terrible thing and caused so much devastation, Mother’s Day was meant to be spent as a quiet time. I would think the main emphasis being on reflection and the importance of family after having lost loved ones. Years later, after it was declared a special day in 1914. As Mothers Day became somewhat commercialized (as she saw it) by the giving of gifts and greeting cards, Anna Jarvis spent the latter part of her life trying to undo it all. Anna was a woman from Philadelphia who had pushed for the observance of Mothers Day in the first place. Families have their own unique ways and traditions of wishing Moms a Happy Day. We give presents to our moms by buying or writing special cards, and we choose from a variety of possible gifts geared mostly to her personal interests. The origin-of-mothers-day tells us that white carnations were traditionally given to Mom on this special day at one time because they were seen as symbols of purity, forever motherly love, and and acknowledgement of Moms' "sweetness." Red carnations eventually took it's place, as now white means that someone's Mom is now deceased. Memories are wonderful and priceless. Even better if you can capture them somehow to refer back to anytime you like. The origin-of-mothers-day shows us that our thankfulness for our Moms is a universal emotion. It's definately here to stay.